I was looking recently at the various First Aid Kits that accompany me on various treks, be they day walks or longer. One item that I always like to ensure is included in a kit is a pair of tweezers. It is difficult to make do with anything else when attempting to extract thorns, splinters, grit within a cut, pick loose pieces of skin from torn blisters etc. A sterilized needle may be used on occasion but is never going to be as useful as a pair of tweezers. There are various hacks- smoothing a piece of duct tape over a splinter may ease it from the skin, but for some purposes, a pair of thin nosed or precision tweezers is what is required- for careful removal of ticks for example. Tweezers come in a variety of sizes and even materials. The heads can be blunt and wide, or thin nosed and pointed. They can be quite large scissor operated for precision and strength, or a tiny pair slipped into the end of a Victorinox multi-knife. Stainless steel is an excellent material for medical purposes, doesn’t stain, doesn’t rust, strong. 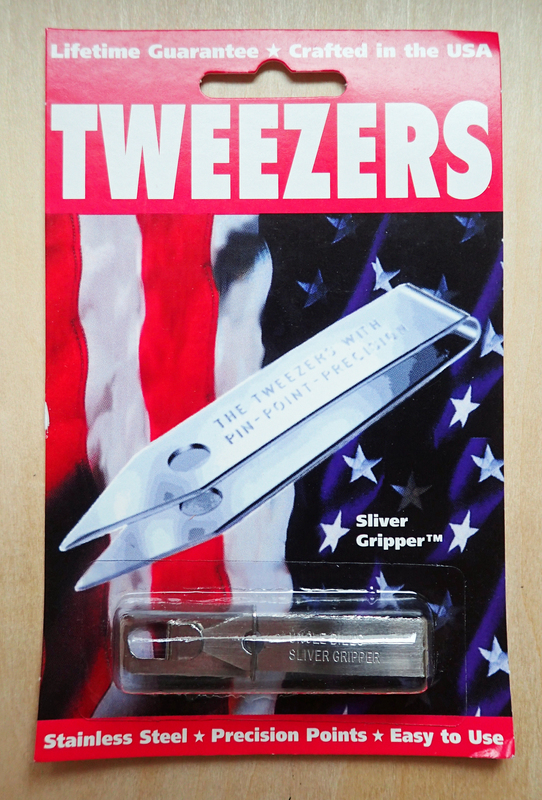 This is what most pairs of tweezer knocking around my house were made of, but I was also intrigued to see if there were any alternatives. 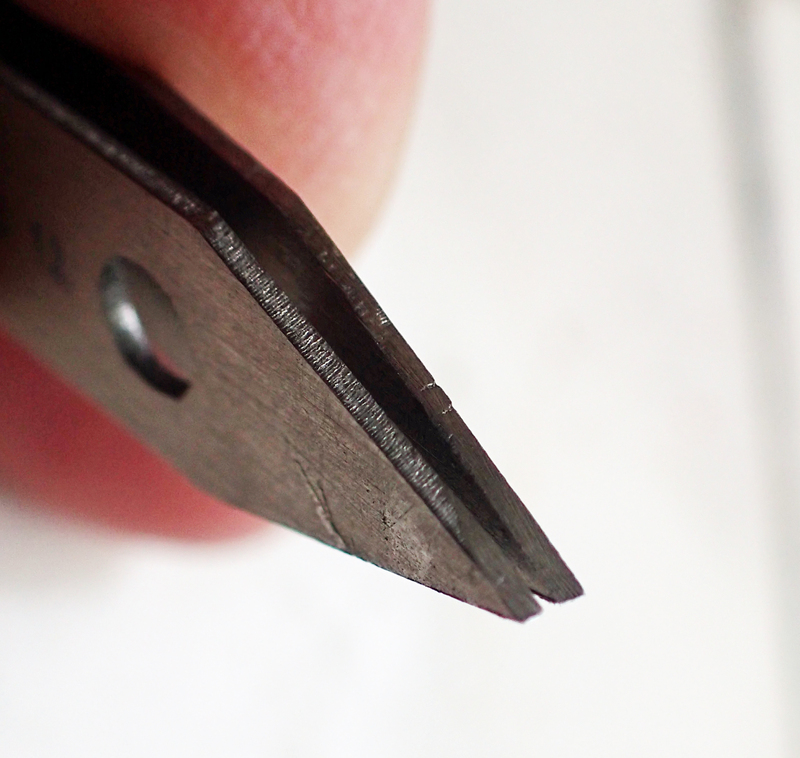 The tweezers are made from a single piece of metal which is bent, providing the springiness that keeps the points apart. The small size and width mean that a precision grip is usually easily obtained. So simple and effective is the design that the U.S. military purchased them in very large numbers. These carry the National Stock Number (NSN) 3740-01-474-7377. Being described on stock as ‘spring tempered stainless steel tick tweezers’. It is the tick removal aspect that El. Mar have focused on to an extent to boost sales numbers to the general public in recent years. Many years ago these tweezers underwent a degree more of finishing than they do now. The famed ‘precision points’ were achieved by bevelling the point, however they are now simply stamped out and finished on a machine belt that, while it removes most of the rough edges, does little to impart improved accuracy of use. That can be rectified post-purchase though. Many might argue that having purchased a product, it should not then be necessary to make any alteration to rectify or improve performance. Each pair of tweezers comes with a little holder in to which the tweezers are inserted, they then open and are securely gripped until squeezed together to release them. It would be easy to leave the little holder at home but it is such a lightweight and functional offering that its inclusion is a sensible choice. If taken, it can then be hung from a key fob, round the neck on cord/dog tags, looped on to a mini carabiner or simply slung inside a ditty bag. One of the prime purposes for a pair of tweezers on the trail is removing ticks. Some, but not all, ticks carry Lyme disease. Instances of this are increasing, both in North America and Europe. Once picked up from vegetation lining the trail and latched on to a hikers skin, if not removed carefully with an appropriate tool, a tick can be stressed or squeezed. Thereby disgorging its stomach contents, which may include Lyme, into its host, us. I usually carry a 2.2g pair of O’Tom Tick Twister dedicated tick removers when ticks are in season but a pair of tweezers will do the job almost as well. For the tactical minded amongst us, OK, amongst you, there is a version that may excite curiosity. 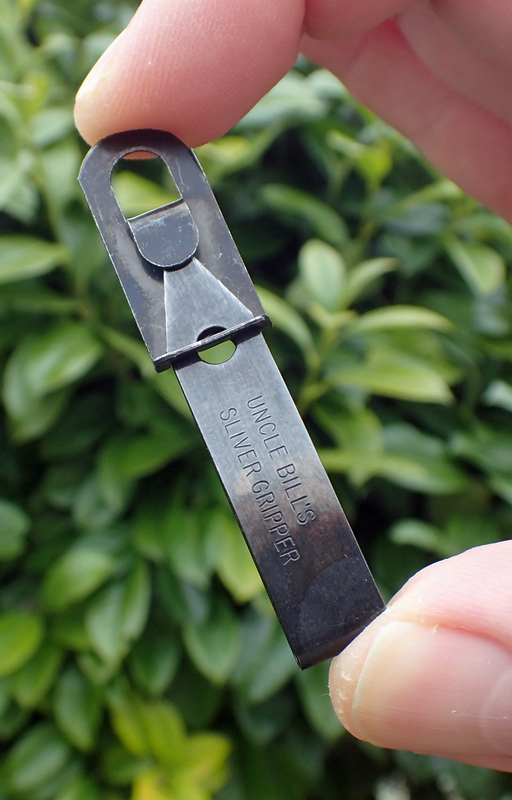 This is the ‘military’ version; a black anodised Sliver Gripper tweezer. Anodising is a process where the metal is coated with a protective (in this case, black) oxide layer by electrolytic action. 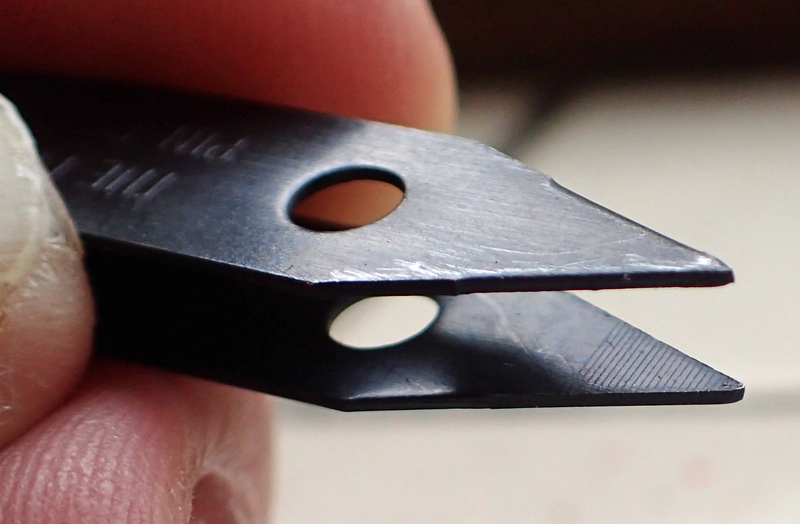 The black tweezers do look good, having an almost gunmetal finish. Be warned though, while using the black tweezers should prevent reflected light revealing your position to the enemy (plenty of them on the trail) these black tweezer points will not help you in seeing fine splinters etc. The very opposite in fact. They are also more susceptible to being lost if dropped so perhaps are not the best choice for the trail. Of course I was not only engaged on a search for a decent pair of tweezers to take on the trail, I was also after saving a few grams where I could. 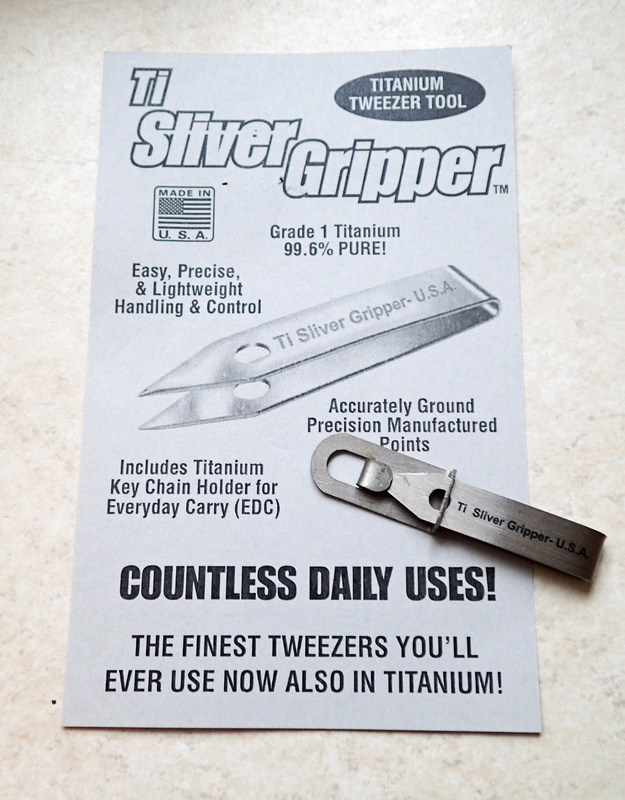 So I was pleased to find that a ‘Grade 1’ titanium version of the Sliver Gripper tweezers has also been made. Titanium Sliver Gripper tweezers. Made in the U.S.A.
Titanium, a word that immediately draws the attention of anyone looking to reduce the weight carried on their back. But this material comes at a cost though, and it is for the individual to decide if the doubled cost of a pair of tweezers is worth such minimal weight saving, I suspect the answer is no. Usually the only way that increased cost can be justified is if the weight saving is large, an item was being replaced anyway, or if the titanium product offers any improvement in function as a result of its material. Both stainless steel and titanium are suitable for using on skin and will not cause adverse reaction, neither metal rusts. So I was interested to see how the titanium version of the Sliver Gripper tweezers held up against the normal product. I was frustrated to find that the quality of finishing, or quality assessment, was a little disappointing. Out of the packet the points do not quite line up and precision of use is lacking as a result. So not quite meeting the description on the packaging- “Accurately ground precision manufactured points”. However this was easily and quickly rectified with careful filing. Though this is not something one would expect to have to do with a brand new purchase. The non-magnetic titanium Sliver Grippers lack the degree of finishing that the steel versions exhibit. Edges feel rough to the touch and benefit from a slight filing in the hand. I am unsure why a thicker gauge of metal has been used too, surely strength would not have been compromised by using a similar gauge to the original steel tweezers. The ‘springiness’ in operation feels different too, though I don’t think this affects performance. The remarkably light weights for any of the three variants looked at mean that any of the three would be suitable for a lightweight backpacking kit. As mentioned above, it makes sense to include the small and functional key chain holder with whichever is taken as it will certainly prevent them poking a hole from within expensive packs and dry bags. 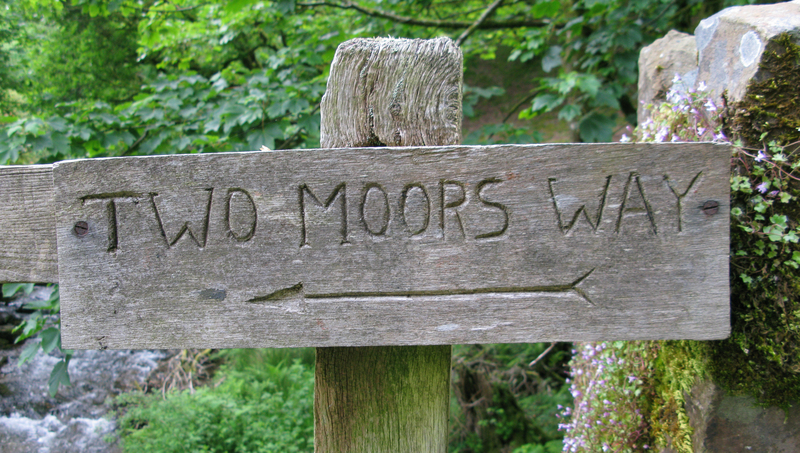 … nope, I don’t think so either! 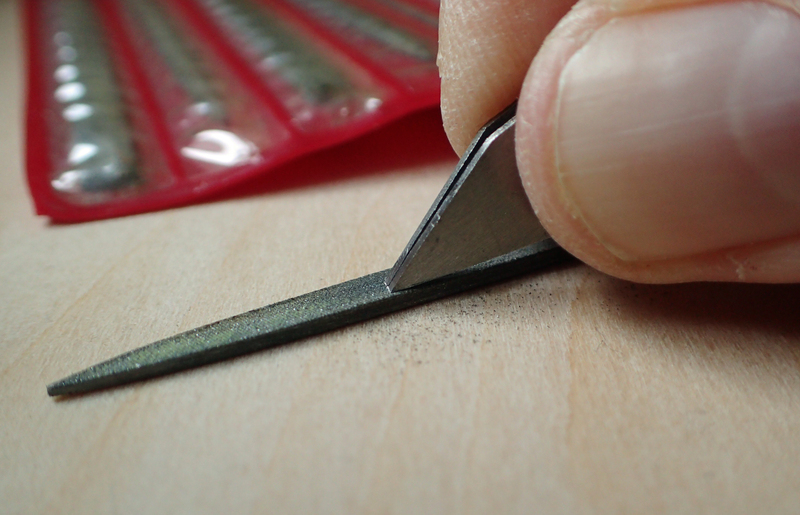 All of the three types of tweezer measure 47mm in length and are 9.5mm wide. 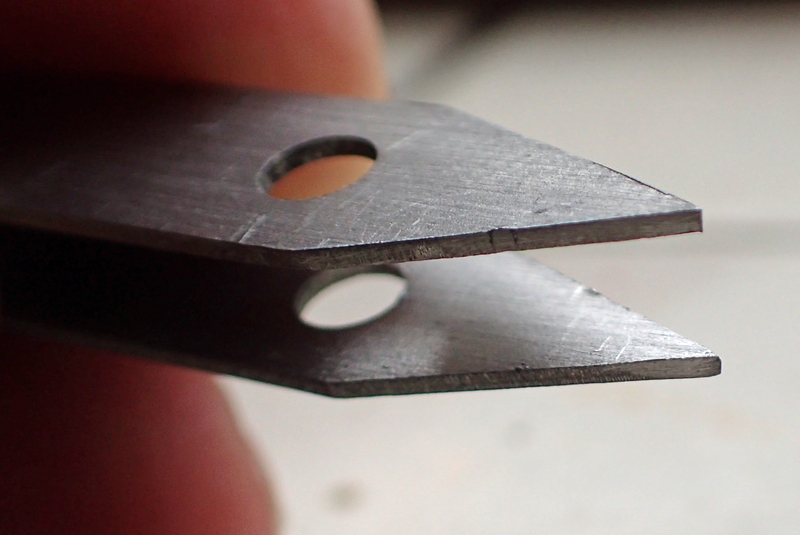 The gauge of sheet metal differs however, being 0.6mm for the steel versions and 0.8mm for the titanium. 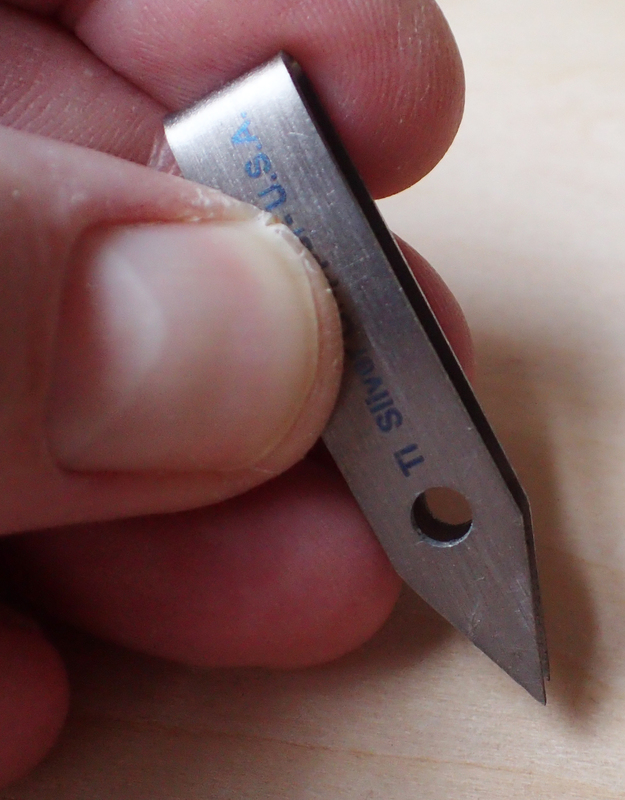 Some improvement to grip is also provided by slight serrations being added to the inner 6mm of the tip. However these are only present on the steel versions, not the titanium for some reason. This is a surprising omission as their inclusion would improve the titanium tweezers immensely. 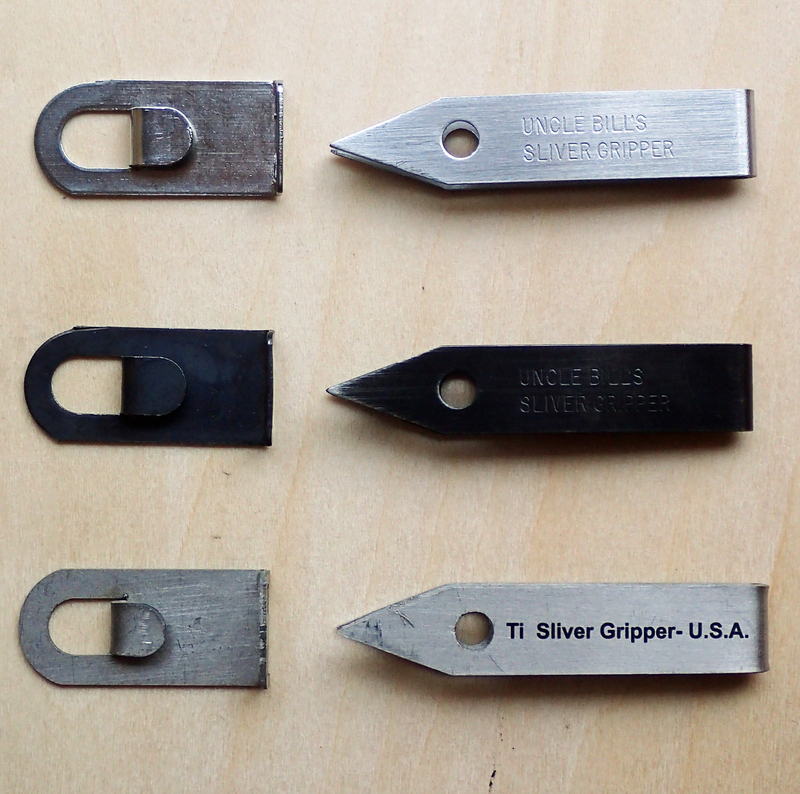 The little key chain holders for the tweezers are all of the same type of metal as the tweezers that they contain. 28mm long and 9.5mm wide. 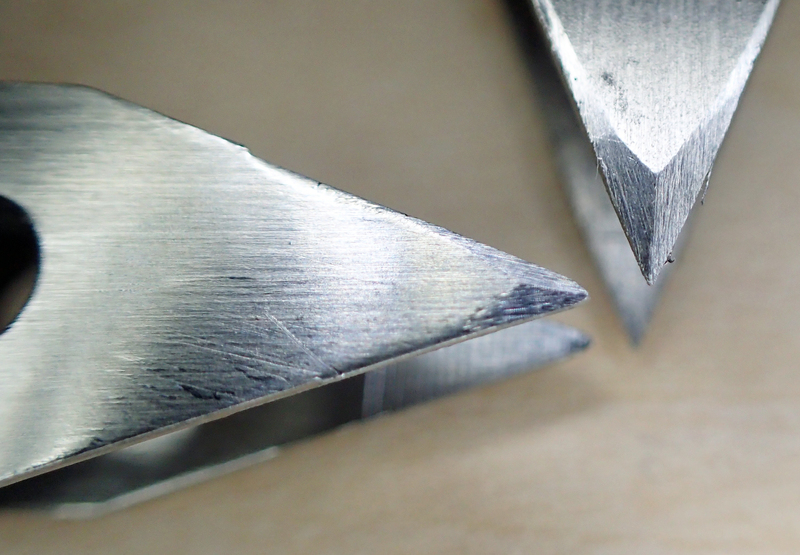 Much of their strength in gripping comes from the broad head of the tweezer, tapering toward the tip. This is cut to an angle of 40° which may prove troublesome for getting into tight spots but is probably the sweet spot between strength and impracticality. 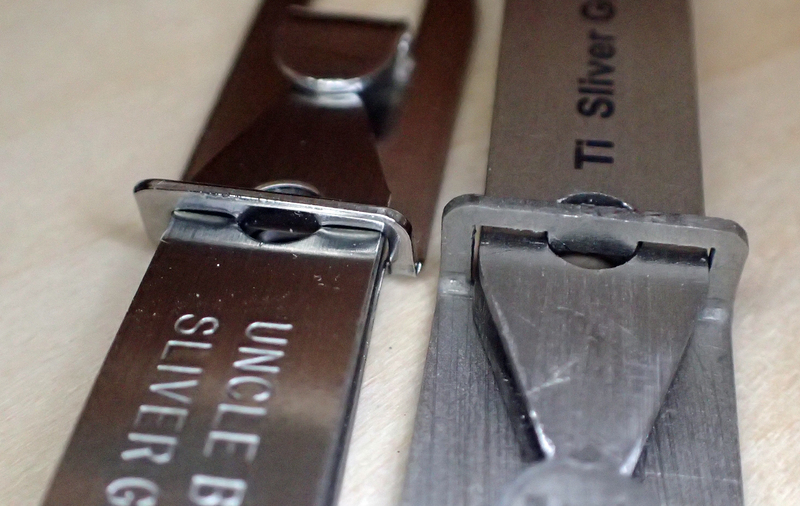 Uncle Bill’s Sliver Gripper tweezers are easily found on-line and come with a lifetime guarantee. I purchased my three from two different suppliers, and costs are reasonable, even when purchased in the UK. They can also be bought in dual packages, or in small plastic tubes. Though I see no need to prefer those last over loose ones unless a pair was going to be kept in a tool box and there was a wish to keep them clean and separate from all the crud around them. These tweezers, whichever type you go for, are not perfect. The tips could be narrower and chamfered and the titanium ones are quite rough out of the packaging. However, as a lightweight pair of tweezers, they are mostly ideal for picking out thorns, splinters, bee stings, gravel from road rash, peeling back loose and torn skin, even plucking eyebrows! Particularly if a few minutes are taken post-purchase to file off the rough edges and improve the point. They are then a worthwhile inclusion to even the most lightweight of backpacking gear lists. However their most important attribute must be their suitability for dealing with that most menacing and increasing of trail threats, the Tick. 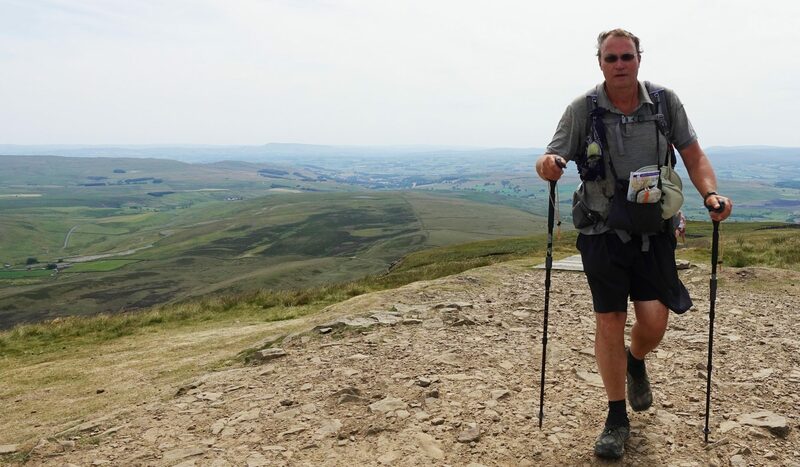 This entry was posted in Gear, Uncategorized and tagged feet, first aid, gear, small stuff, titanium, tweezers on March 20, 2016 by Jools. This entry was posted in Uncategorized and tagged navigation, path, route, sign on March 14, 2016 by Jools.